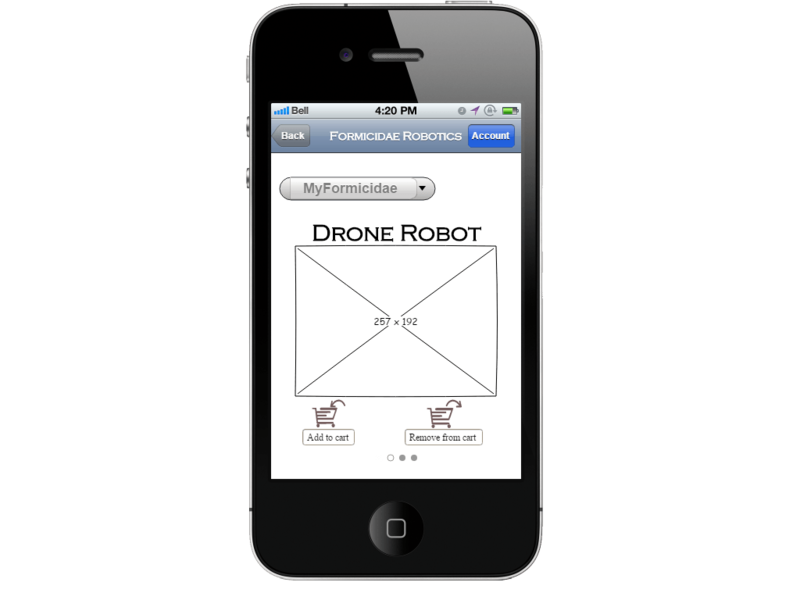 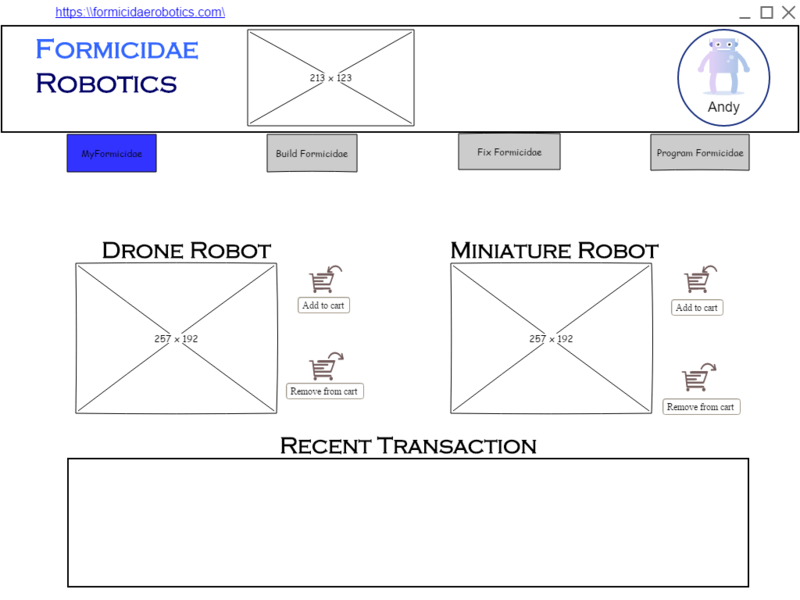 This is a wireframe for the company Formicidae Robotics (does not exist). 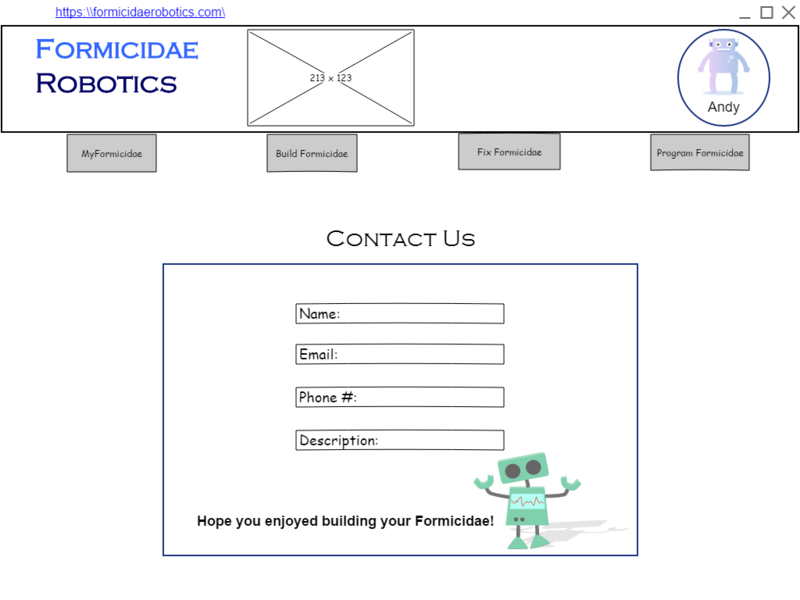 Features such as viewing saved build, new robot building, and etc. 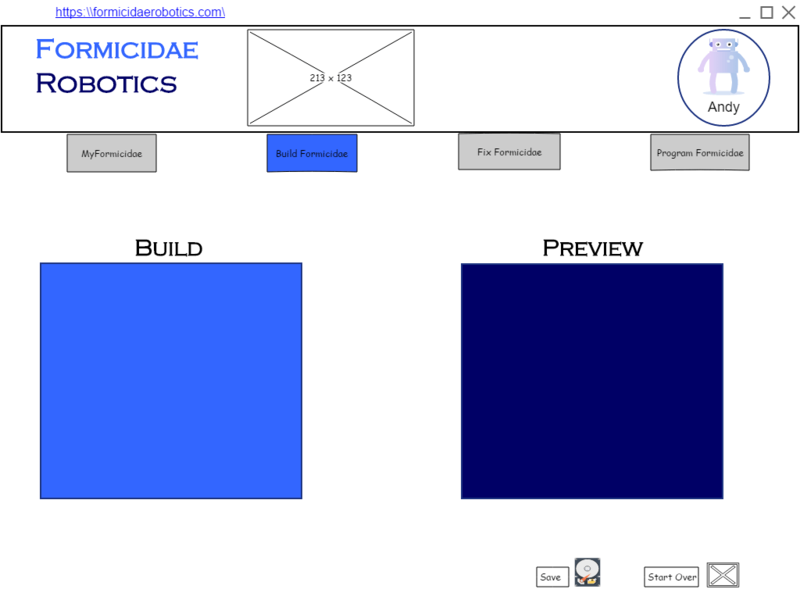 are implemented.